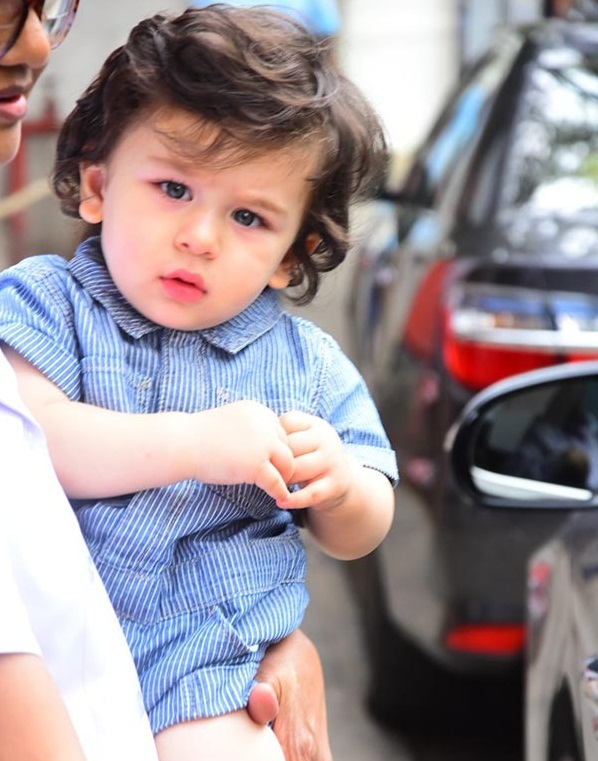 Taimur Khan, Saif Ali Khan and Kareena Kapoor’s son is one of the cutest children in B-Town. He is an apple of the eye of Kapoor and Pataudi family. The tiny tot always enjoys the attention wherever he goes. His adorable pictures go viral all over the internet. Well, now the star kid has learnt to speak a few new words. In a recent interview, daddy Saif reveals that Taimur has learnt few new words. He now calls Saif “Abba”. “He has learnt a few new words. He calls me ‘abba’ and has now started to say ‘baby’ and ‘gum’. Whenever he sees a chewing gum, he would just scream ‘gum’. He likes to watch the moon, so I sit with him in my office and show him the moon.” Saif said. Taimur is surely the cutest kid in B-town and we can’t get enough of him. This is Kareena and Saif’s first baby together. Stay tuned to dailycatchon for more updates !! !